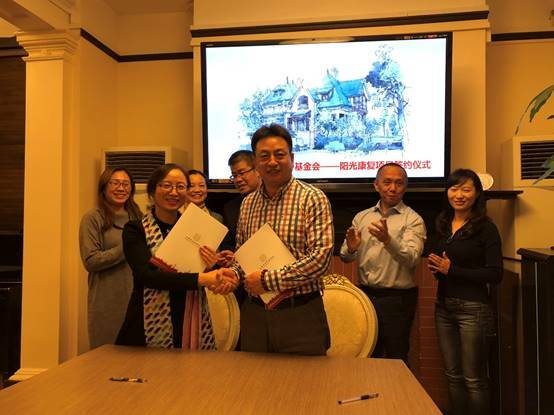 The Shanghai Sunshine Public Welfare Foundation donated 700,000 yuan to establish "Sunshine Rehabilitation Project" with SSCLF - Great Love Relief Fund, to provide financial support for the postoperative rehabilitation of the children with cerebral palsy from poor families. 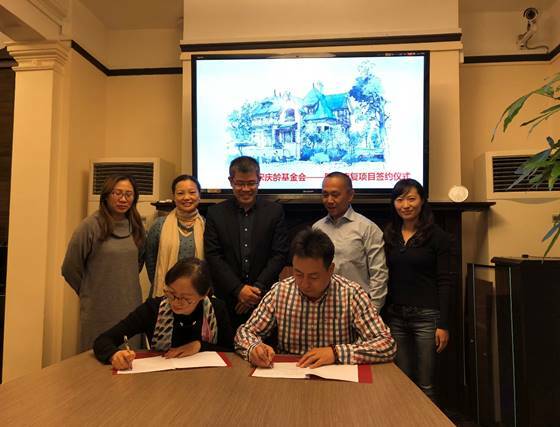 The signing ceremony of the Sunshine Rehabilitation Project was held at the Shanghai Soong Ching Ling Foundation on November 29. Present at the ceremony were Li Baozhen, chairman of Shanghai Sunshine Public Welfare Foundation, Zhao Yajuan, manager of Co-ordination Planning Department, Shanghai Sunshine Public Welfare Foundation, Xiao Bo, director of Brain Surgery Department, Shanghai Children's Hospital, Fu Chuanwei, director of Shanghai Rehabilitation & Vocational Training Center for the disabled, Shen Min, director of Rehabilitation Medicine Department, Shanghai Rehabilitation & Vocational Training Center for the disabled and Zhang Houye, deputy secretary general of Shanghai Soong Ching Ling Foundation. SSCLF - Great Love Relief Special Fund was set up by Ms. Zhang Chuwu in July 2016, which was dedicated to poverty alleviation in the field of the treatment for the children with cerebral palsy. The fund has so far provided financial assistance for the postoperative rehabilitation of 59 children with cerebral palsy from poor families.